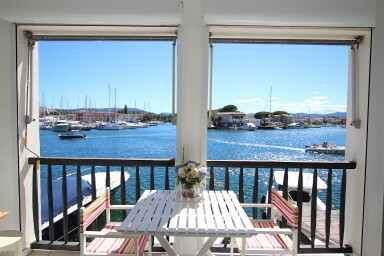 This lovely studio is very close to the beach and has a wonderful panoramic view on the canal. The apartment is composed of a main room with a sofa bed for 2 people, a little open kitchen and a shower-room with toilets. On the canal side, a South-West oriented balcony to have lunch while enjoying the exceptional view. A very nice apartment for a couple!